Timeless hues of sand and sky team up in the gorgeous Mireya 17" boot from our Hero Collection. 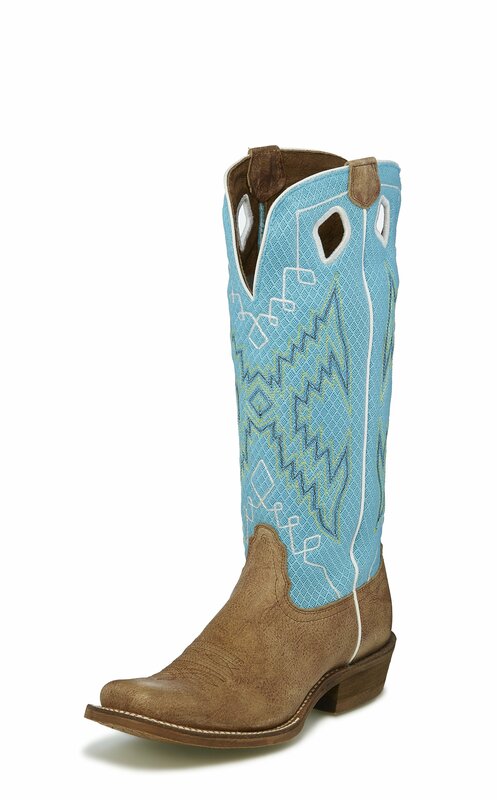 The tall Turquoise shaft is crafted of breathable sport mesh for a surprisingly light feel. The earthy Brown leather foot provides contrast and complements the authentic design on the intricately stitched shaft. An extended half moon toe and Buckaroo heel with spur ledge finish off this special style.